What a great introduction to food in Osaka and the Kuromon market! Yoshika was my guide, and she was kind, friendly, and very informative. I used this tour as a way to get oriented in Osaka, and it was a perfect introduction. The food was lovely, and while we covered a fair amount of ground in the area, it was the perfect pace. But the best part was Yoshika, who really made me feel welcome. I would certainly do another tour with her and Japan Wonder Travel. Food lovers in Osaka, you've got to check this tour out. 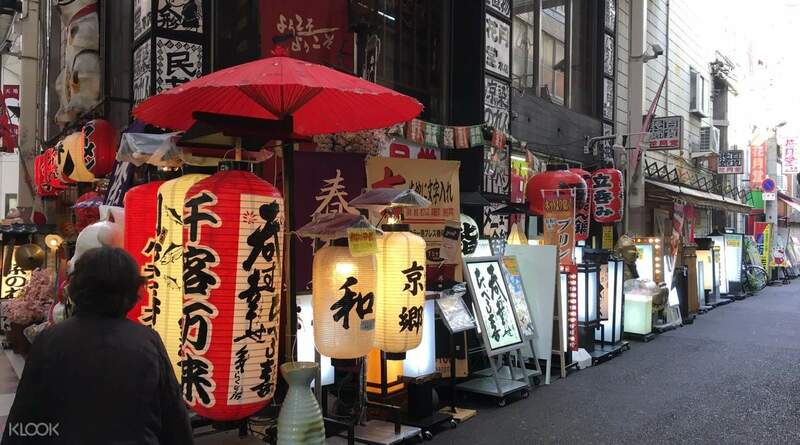 The concept of this half day tour around Namba and Kuromon Ichiba Market is "kuidaore," an Osakan word that means "to eat until you drop." Through a delicious selection of food and drinks, you can learn all about the rich cuisine and culture in Osaka. 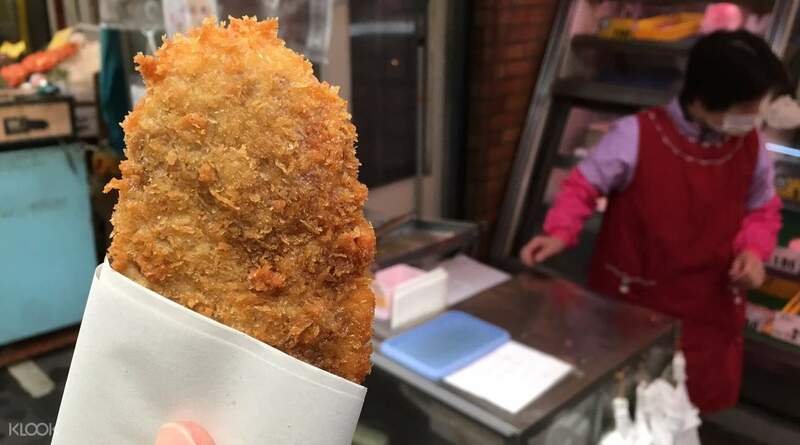 After meeting up with your tour group, the first stop is Kuromon Ichiba Market, a massive food market rapidly gaining popularity among tourists. 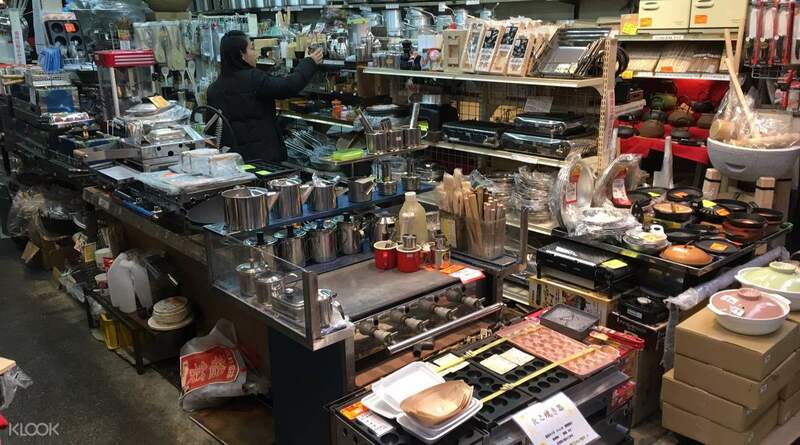 Fondly called Osaka's kitchen, many local residents and professional chefs go here to buy high-quality food. When you're done sampling food from here, walk to Sennichimae Doguyasuji Shopping Street, where you won't just be eating but also shopping for cool merchandise. 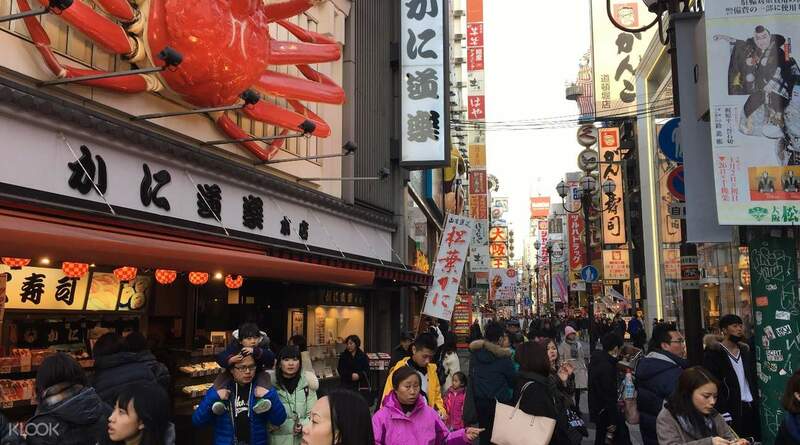 Finally, the tour ends at Dotonbori in the Namba district, thronged with an unbelievable number of restaurants and amusement facilities, and is dearly loved by the Osakaites. What a great introduction to food in Osaka and the Kuromon market! Yoshika was my guide, and she was kind, friendly, and very informative. I used this tour as a way to get oriented in Osaka, and it was a perfect introduction. The food was lovely, and while we covered a fair amount of ground in the area, it was the perfect pace. But the best part was Yoshika, who really made me feel welcome. I would certainly do another tour with her and Japan Wonder Travel. What a great introduction to food in Osaka and the Kuromon market! Yoshika was my guide, and she was kind, friendly, and very informative. I used this tour as a way to get oriented in Osaka, and it was a perfect introduction. The food was lovely, and while we covered a fair amount of ground in the area, it was the perfect pace. But the best part was Yoshika, who really made me feel welcome. I would certainly do another tour with her and Japan Wonder Travel. Was the only person on my tour so it ended up being a private tour! Keiko was great, we walked all around the Kuromon Market and Dotonbori and she showed me all the local eateries I wouldn’t have tried on my own. She was very easy to talk to and being a solo traveler it was great to be able to have someone talk to and she gave me some great information about Japan and it’s culture. Would definitely recommend. Was the only person on my tour so it ended up being a private tour! Keiko was great, we walked all around the Kuromon Market and Dotonbori and she showed me all the local eateries I wouldn’t have tried on my own. She was very easy to talk to and being a solo traveler it was great to be able to have someone talk to and she gave me some great information about Japan and it’s culture. Would definitely recommend.